The Ellansé range contains a gel carrier, which creates the initial lift in the tissue. This is gradually resorbed over several weeks allowing its active ingredient polycaprolactone to stimulate neocollagenesis – which replaces lost volume with a collagen scaffold. The cosmetic result is soft and very natural looking. Results can last 1-2 years and even up to 4 years depending on the version of Ellansé used, the amount injected and the area of placement. After this time, the polycaprolactone microspheres are degraded completely by being broken down into carbon dioxide and water. The same breakdown materials as within normal human metabolism. Ellansé S is a bio-stimulator dermal filler that acts to correct, restore and maintain the health of the skin. Ellansé S provides immediate volume, correction and stimulates growth of the body’s own collagen to maintain volume in the skin. Ellansé S has longevity up to 1 year. Ellansé M is a bio-stimulator dermal filler that acts to correct, restore and maintain the health of the skin. Ellansé M provides immediate volume, correction and stimulates growth of the body’s own collagen to maintain volume in the skin. Ellansé M has longevity up to 2 years. Ellansé L is a bio-stimulator dermal filler that acts to correct, restore and maintain the health of the skin. Ellansé L provides immediate volume, correction and stimulates growth of the body’s own collagen to maintain volume in the skin. Ellansé L has longevity up to 3 years. 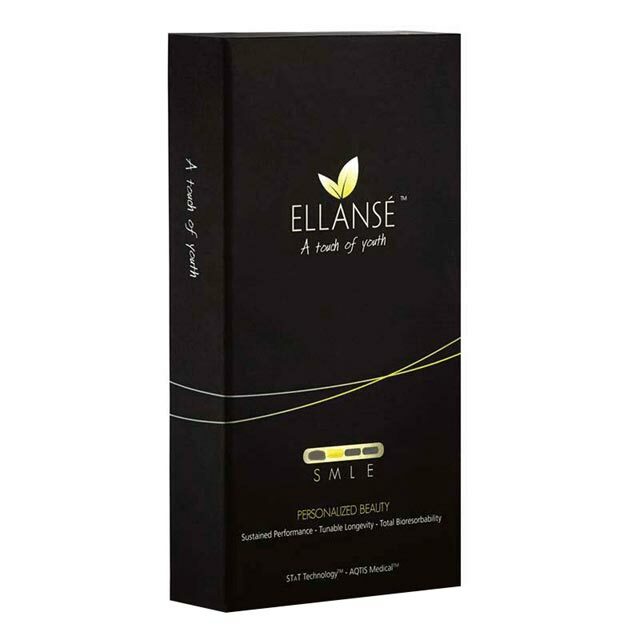 Ellansé E is a bio-stimulator dermal filler that acts to correct, restore and maintain the health of the skin. Ellansé E provides immediate volume, correction and stimulates growth of the body’s own collagen to maintain volume in the skin. Ellansé E has longevity up to 4 years.